The next area where most people don’t realize they can refuse the tests are the field sobriety tests or the FSTs. Those are the tests when the officer has gotten you out of the vehicle and wants you to perform certain field sobriety tests on the side of the road. You are under no obligation to take any of those tests. You can refuse each and every one of those without penalty. This will prevent the officer from gathering evidence that may be harmful to your case. The most common area of confusion is whether or not you should take the AlcoSensor test, which is on the side of the road. You do not have to take the AlcoSensor test. It is a traffic infraction for not taking that test, however, it is not a criminal offense to refuse the AlcoSensor test. Once you’re back at the police station is where you are given the breathalyzer or the data master. These are machines. These machines will measure your blood alcohol in your system when you blow into it. This is not an easy question to answer. I tell most people that so much of this depends on how much they had to drink, when they had the drinks, whether they had anything to eat, and whether or not they have a prior conviction for any alcohol-related offense. 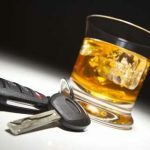 These factors, only a experienced Buffalo DWI Lawyer can answer. There is an administrative proceeding that you can have to fight whether or not you voluntarily refuse to take the breath test. This is given at a Department of Motor Vehicle hearing. The best course of action is to contact an experienced Buffalo DWI Lawyer as soon as possible.